Wooster has appointed a new Chief Diversity, Equity and Inclusion Officer (CDEIO). 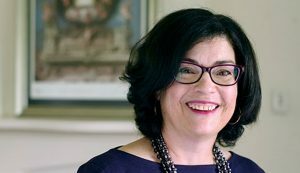 According to the email President Bolton sent out to students on Thursday, Jan. 17, Dr. Ivonne M. García currently works as the director of Kenyon College’s Latinx Studies Concentration, as well as an English professor and co-director of the College’s Educational Enrichment Program. According to President Bolton, Dr. García will begin working at Wooster officially on June 1 and will be visiting campus weekly until then. Once she begins, she will be expected to work with the campus community to ensure an inclusive environment for historically marginalized groups, meaning she will use input from students and staff to work with senior leadership on ways to make historically marginalized groups such as the LGBTQ+ community and people of color welcome on campus. This will likely entail working with Admissions and Financial Aid as well as interested campus groups. During this transitional semester, Dr. García also plans on creating long-term goals based on feedback she receives during campus visits. She will likely become familiar with the Center for Diversity and Inclusion (CDI) staff and inclusion groups around campus to learn more about Wooster’s culture. Her initial impression of the College is that the campus is “welcoming and enthusiastic” and she looks forward to getting to know as many people as possible around campus. The creation of the CDEIO position is a part of a larger initiative developed during the 2016-17 school year called the Diversity, Equity and Inclusion Strategic Plan.This plan’s specific goals are designed to aid with recruitment, accessibility, resources and support, clear responsibilities/expectations, cultural competencies and skills, organization, partnership with the City of Wooster and assessment and communication as relating to diversity, equity and inclusion on campus. Dr. García’s position was designed so that there could be a person on campus dedicated to achieving those goals. The full Strategic Plan is available on the school’s website. Representatives from the student body were involved in the search for the new CDEIO as well. As reported last December by the Voice, three students were on the board tasked with finding someone for the position: Gargi Mishra ’20, Maryori Sosa ’20 and D’Khorvillyn Tyus ’19. These students were members of the group at the same level as the rest to offer their perspective as representatives of the main groups that will be interacting with the CDEIO. Students were also invited to meet with each of the three finalists for the position in the CDI lounge and provide feedback. Dr. García is also optimistic about the work she will be able to do for the school. When asked about her plans for the position, she stated, “I tend to be ambitious and driven about the goals I set, so my plans for this position will be many and will be based on the needs and priorities of the Wooster community, which I’ll be learning more about during this semester. Ultimately, and although I recognize that I won’t be able to please 100 percent of the people 100 percent of the time, I want Wooster to be proud that they selected me to serve in this historic position,” she said.